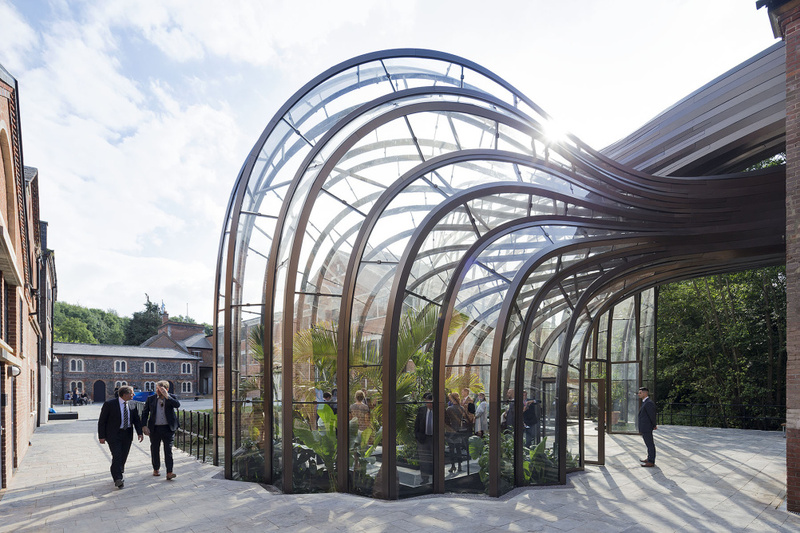 Heatherwick Studio has completed its designs for the Bombay Sapphire gin distillery in Hampshire. 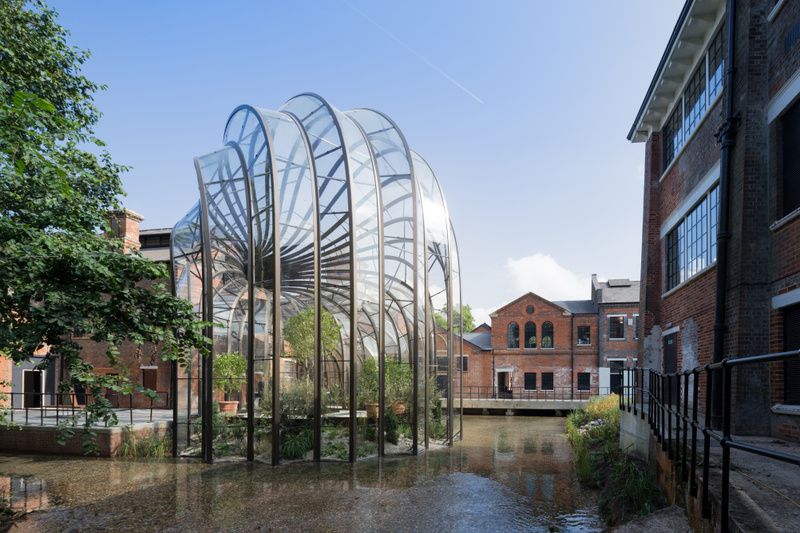 This is Bombay Sapphire’s first public in-house production facility, and is housed in former water-powered paper mill Laverstoke Mill. Before work began on the project, the site contained more than forty derelict buildings, since restored as part of Heatherwick Studio’s masterplan. The complex uses glass buildings to contain the distillation space, learning areas and a cocktail bar. 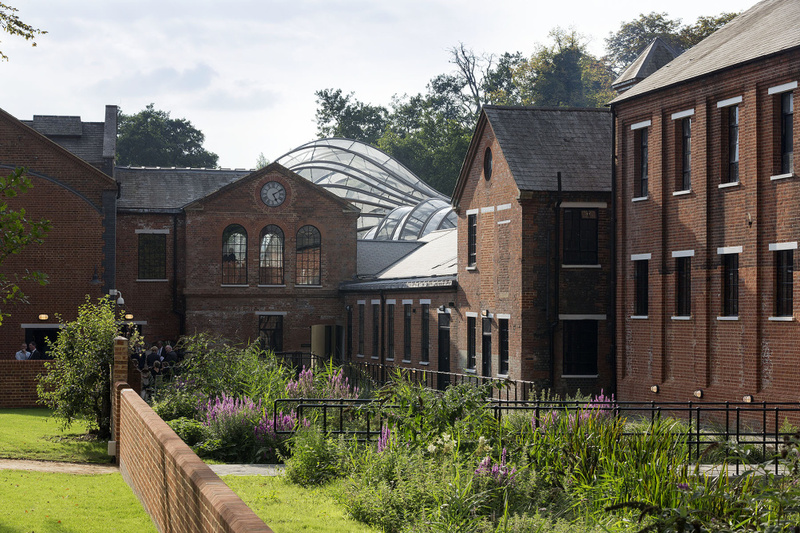 Within the glass houses visitors can see the ten botanicals used to make Bombay Sapphire; while the Heritage Room and gallery space will provide information on the history of Laverstoke Mill and the brand. 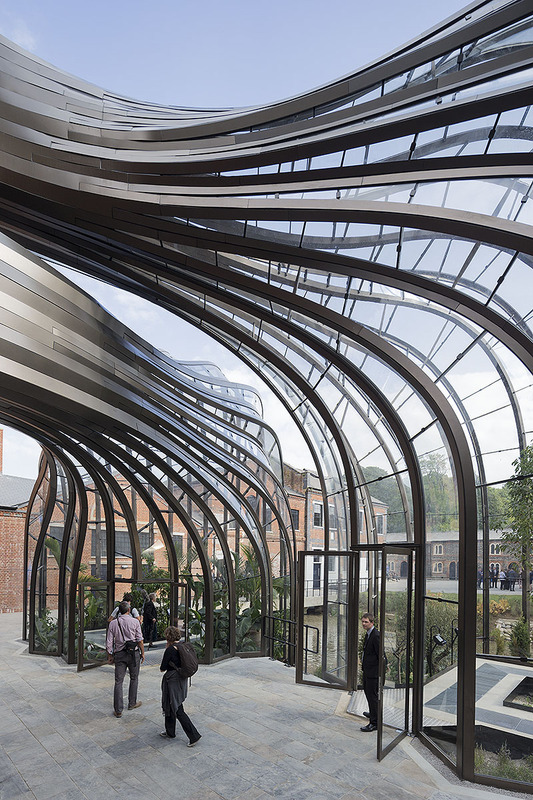 The River Test runs through the site, and has been widened and planted “to transform it into a route that draws visitors through the site to a newly defined courtyard at its centre, surrounded by historic buildings”, says Heatherwick Studio. Heatherwick Studio was appointed to the project in 2010 as the lead designer, working landscape architect GWP and engineers Arup.